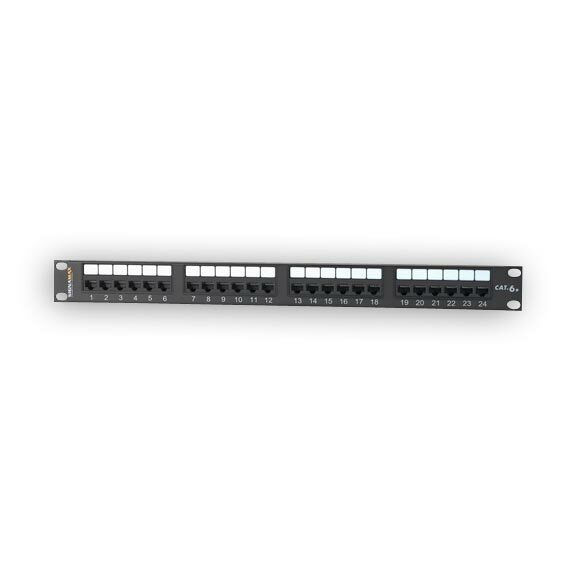 Category 6 Mini Patch Panels are available in 12-port size and are ideal for installations where space is at a premium and open bay racks cannot be used. Panels are provided mounted to either an 89D bracket or in a hinged version, both of which allow for easy access to the back of the panel for termination to 110 connectors. Panels exceed ANSI/TIA-568-C.2 performance specifications. Category 6 Patch Panels are designed to exceed ANSI/TIA-568-C.2 component, permanent link and channel performance specifications providing usable bandwidth beyond 250 MHz and are backward compatible with lower category cabling systems. These high-density panels are available in 12- through 48-port versions and feature enhanced front and rear labeling features for easy circuit identification. Category 6 panels support both T568A and T568B wiring schemes using an easy-to-read color-coded wiring label. Panels are constructed for maximum strength and durability and feature a fully enclosed, modular design, which provides flexibility and protection of printed circuitry during termination. 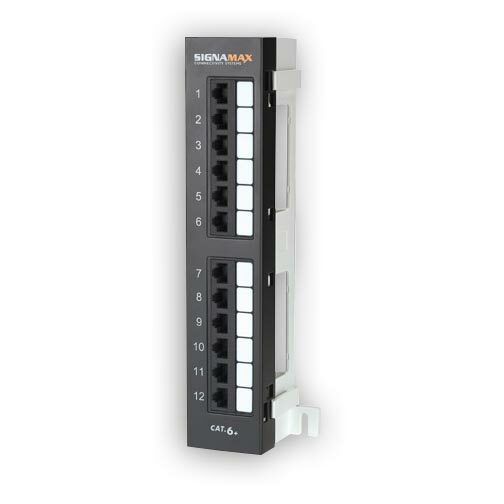 The modular jack (RJ-45) contact configuration provides enhanced plug-to-jack connection integrity for superior reliability. Rear termination is made quick and easy using a 4-pair inline 110-type connector compatible with our category 6 multipair impact tool to reduce installation time or an industry standard single-position 110 termination tool. Panels include an integrated cable management feature for cable routing and strain relief requirements. An optional cable management bar, which mounts easily to the back of the panel, is available for improved cable routing and strain relief.